Being one of Singapore’s historic districts, Tanjong Pagar is a parcel of Singapore’s rich history. In recent times, this historic district has undergone an urban renewal and has attracted a vibrant community. Looking forward, the future growth is enormous as the district will serve as a gateway to the future Greater Southern Waterfront. In the heart of the district’s evolution lies Tanjong Pagar Centre, a towering vertical city that integrates premium grade A office, 181 luxury homes, lifestyle and F&B, 5-star business hotel, and an urban park into one complete development. Standing at 290 metres tall, it is Singapore’s tallest building. This new landmark has transformed the cityscape and is set to propel the Tanjong Pagar district as the premier business and lifestyle district of Singapore’s CBD. The crown jewel of this transformative district is Wallich Residence Penthouse, Singapore’s tallest residential project with a limited collection of 181 luxury homes with an unrivaled view of Singapore. Starting from 180 metres above ground, Wallich Residence crowns the Singapore’s tallest building. 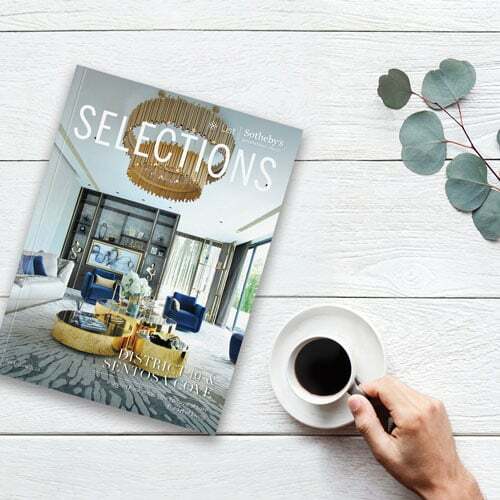 Occupying the 39th to 64th floor of Tanjong Pagar Centre, each of Wallich Residence’s residential units were carefully designed and fitted with top-of-the-line materials and fittings. Unit types range from one to four bedroom units, all with access to four extravagant amenity floors and the signature Wallich Concierge Service. The true crown jewel of Wallich Residence is located at the 62nd floor to 64th floor: The one and only Super Penthouse. This is a one-of-a-kind trophy home that encompasses three floors of a total 21,108 square feet with its own private and exclusive rooftop terrace and swimming pool. It is an amazing opportunity to own a piece of Singapore and experience living in the tallest residence of Singapore, the Wallich Residence Super Penthouse is truly a status symbol that goes beyond imagination. In addition to the luxurious facilities at Wallich Residence that caters exclusively to residents, this iconic integrated development of Tanjong Pagar Centre redefines living with its vertical city design. It seamlessly connects residents to a wide variety of retail and F&B options with ease. Residents can walk right into Tanjong Pagar Centre’s retail at Basement two via their dedicated residents lift. 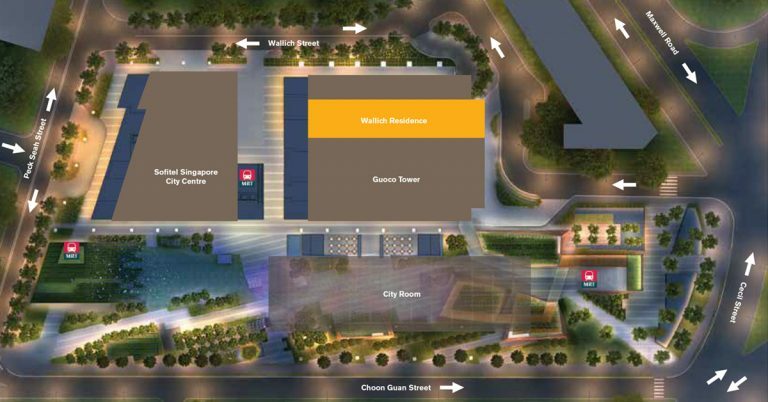 Tanjong Pagar Centre’s 100,000 square feet of dynamic lifestyle and F&B component spans across 6 storeys, and is integrated with the Tanjong Pagar MRT station. Not only has this attracted large commuter traffic, a vibrant community has been drawn towards Tanjong Pagar Centre’s strategic focus to create a unique lifestyle destination. It has attracted many new-to-market brands such as the world’s first Japan Rail Café, Hattendo Café, SBCD Korean Tofu House and Chalong restaurants. Other interesting concepts and crowd drawer include Henri Charpentier, Pura Brasa, Starker Signaure, Imperial Treasure Fine Teochew Cuisine and Blue Lotus Chinese Grill House and Bar. Located below Wallich Residence is the premium grade A office component, Guoco Tower. Arrive at the dedicated Guoco Tower drop-off and walk into the grand lobby and be impressed by the quality and class worthy of a premium grade A office tower. The high performance office tower has attracted many global MNCs and growing businesses from diverse industries to locate their regional headquarters at Guoco Tower. You will find a community of visionaries who saw the potential of Tanjong Pagar Centre early and decided to take root here. Tanjong Pagar Centre has a rich offering that meets office tenants’ needs beyond their demand for a productive workplace. Tenants at Guoco Tower can also enjoy access to world-class meeting and conference rooms, along with outstanding venues for seminars and corporate events at Sofitel Singapore City Centre hotel located just a few steps away from the office. Other cross-facilities include Virgin Active, dynamic lifestyle and retail, and an Urban Park with multitude of activities and events in a dynamic and lively setting. 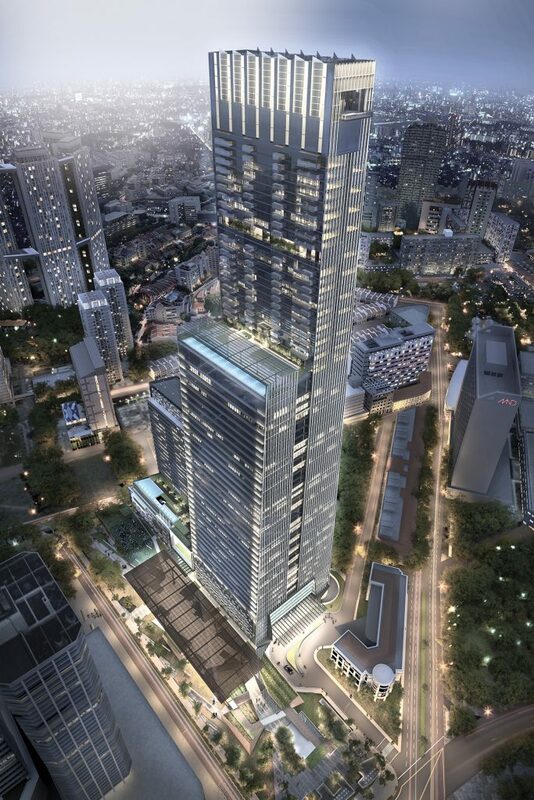 Tanjong Pagar Centre’s 150,000 square feet is an integral part of Tanjong Pagar Centre’s ‘Work-Live-Play’ vision. The Urban Park is set to become the social heart of Tanjong Pagar by bringing people together through a multitude of activities and events in a dynamic and lively setting. Amid its well-landscaped gardens, you can easily unwind after a long day at work. Within the park is a central meeting place known as the City Room, where special events and outdoor performances help make work-life balance a reality for those who work and live within and around Tanjong Pagar Centre. Expect mass fitness workout conducted by Virgin Active, a range of musical performances and many other activities. Tanjong Pagar Park is a sanctuary for residents of Tanjong Pagar where you can relax and engage in an active lifestyle. 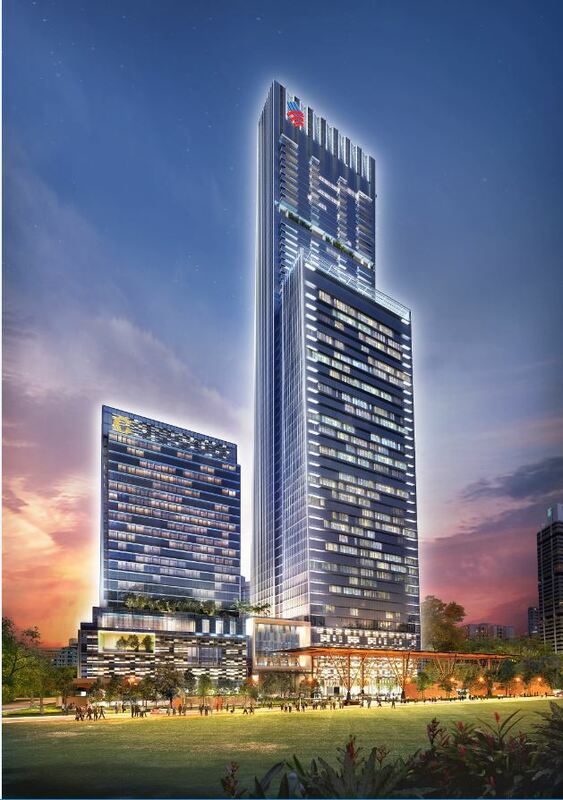 Tanjong Pagar Center is also the location of Sofitel City Centre, a 5-star luxury business hotel with a French flair. Sofitel Singapore City Centre is Sofitel’s newest flagship hotel in Singapore. The hotel’s design is heavily inspired by the geometric structure of a Traditional Jardin à la français with the mix of Singapore’s green scenery. Sofitel City Centre offers elegant accommodation and superlative service for guests during their stay. They also offer dining and recreation options like the Racines, which features four open kitchens which turn a simple meal into an interactive culinary experience. While the eclectic 1864 is a tea lounge by day and cocktail bar by night, ideal for a light meal or drink. The development of Tanjong Pagar doesn’t stop with Tanjong Pagar Center; over the next decade, the 1,000-hectare Greater Southern Waterfront is set to open bringing with it more opportunities for commercial and cultural amenities to thrive within the district. The continued growth of the Tanjong Pagar district will continue to usher in more waves of change and better opportunities as it evolves over time, with the Tanjong Pagar Centre in the heart of all these development. Don’t forget to check out others luxury properties in Singapore.